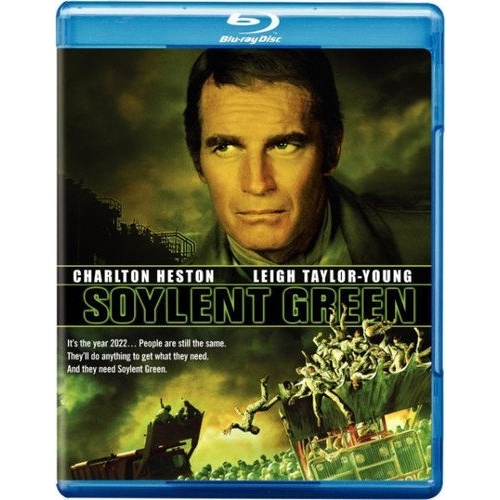 Soylent Green is landmark screen science-fiction, a riveting entertainment and a cautionary tale that holds a mirror to a tomorrow rife with ecological disaster. 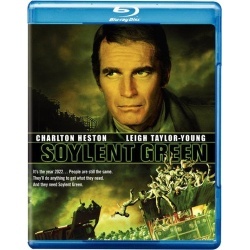 Working well again in the futuristic genre following Planet Of The Apes and The Omega Man, action titan Charlton Heston portrays Thorn, a detective prowling the dark streets of a polluted, overpopulated Big Apple gone rotten in 2022. He's trailing a murderer-and the trail leads to a stunning discovery. Vividly realized, Soylent Green's world gains its power not just from its social effects but from its heart-a human dimension magnified by the performance of legendary Edward G. Robinson in his moving screen farewell.